Rose quartz is said to have originated when the blood of Aphrodite and Adonis dripped on clear crystal, staining it pink as a lasting symbol of their love. It has long been the stone of choice for love rituals and ceremonies. It promotes not only romantic love, but love in all aspects. Place a pair of rose quartz hearts in your bedroom or area in your home that you feel represents love in order to manifest romantic relationships. The pair of hearts represent you and your love and also brings harmony to an existing romantic love relationship. Put rose quartz on your altar or near you when you want to augment self-love or reduce stress. Use rose quartz for healing mind and body. Rose quartz soothes, heals a broken heart, combats negativity, and increases one’s ability to let go of trauma. It has been used as an offering to enhance healing properties in plants by burying a piece in the soil near the base of the plant. Rose quartz aids in sleep and soothing. 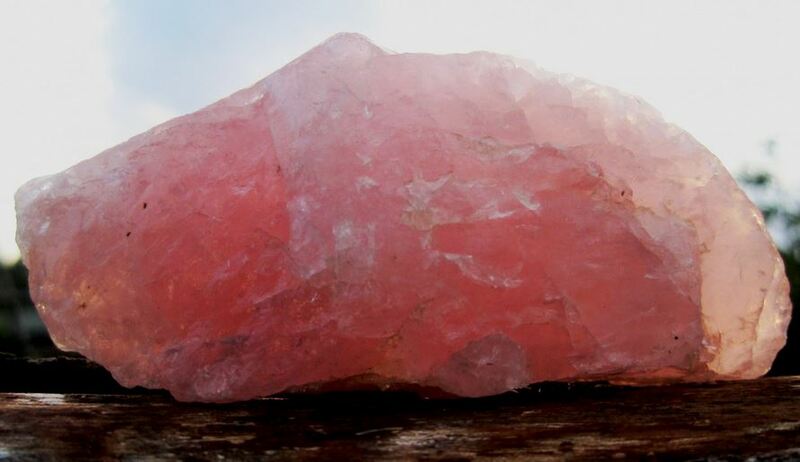 Place rose quartz by your pillow or under an agitated baby’s crib for more restful sleep. Rose quartz is said to be one of the most important stones for healing because its meaning is one of unconditional love. It increases understanding and acceptance, and drives away fear. This allows for renewed trust and compassion for ourselves and others.